The centerpiece of your living room and where you’ll likely spend the most time in your home relaxing. 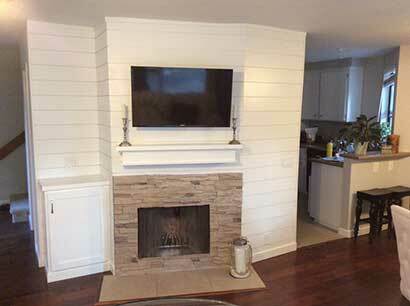 Hire SoCal Carpentry to build an entertainment center, that is so much more for your home. Custom Entertainment Centers in San Diego. Your living room is the centerpiece of your entire home and your Entertainment center is most likely something you spend a lot of time looking at. SoCal Carpentry believes that your entertainment center should leave a lasting impression on guests and should be something that you look forward to seeing when you walk into the room! The days of exposed wires, bulky equipment, and large pieces of furniture to house your television are over, improve your homes value, appeal, and your enjoyment by contacting SoCal Carpentry to build a built-in Entertainment center and elevate your living room. 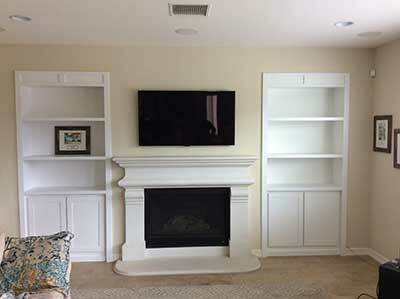 Many homeowners simply purchase a poorly made piece of furniture to house their TV, and this may work for many people, however by building your entertainment center into your home you’re boosting your homes resale value, when it comes time to sell your home, your custom entertainment center from SoCal Carpentry will leave a lasting impression on any prospect that walks through the door. With an out of the box entertainment center you’re also very limited to what the large furniture stores carry and not all furniture is created the same. 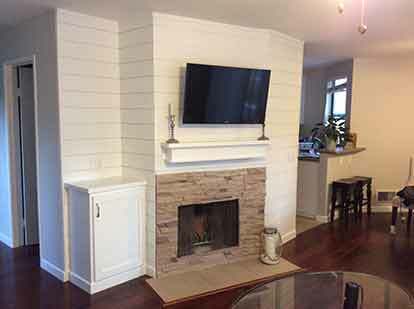 When you contact SoCal Carpentry for your free design consultation we will come on-site and discuss your exact needs for an entertainment center, rather than adding a bulky piece of furniture we will build you a custom piece that suits all of your needs and really pulls the room, and the entire home together. SoCal Carpentry specializes in fine woodworking, millwork, and custom cabinets in San Diego. A custom storage solution for the bulky electronics that are often housed inside of an entertainment center. A concealed wall mount that puts your TV in the perfect location for viewing the big game. Professional wire hiding, there is nothing worse than setting up your new TV and having exposed wires popping out of your entertainment center. No limit to the size of your television, if you want the biggest, baddest TV on the market, SoCal Carpentry can build an entertainment center to house it. Shelving built to fit the devices that you need. Are your entertainment centers expensive? Any custom piece is going to come with a higher cost, since SoCal Carpentry builds bespoke fixtures that are made to order, the cost will be higher than buying something pre-built, however, the fixture will pay for itself in the ability to customize it to match your branding, increased functionality, and overall design. Do You Offer More Than entertainment centers? What is the build process for a custom entertainment center? 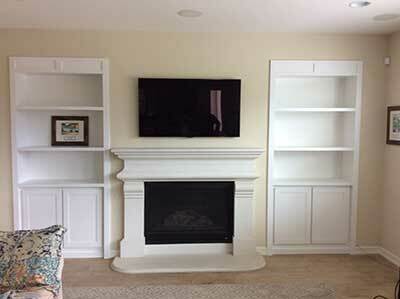 Our Entertainment Centers are built using the same process as all of our projects. We begin with a free consultation to get the scope of the project, we use CAD to design the project, build the timeline, and provide an estimate for the project. We then build and install your piece to your exact specifications. Want to find out more? Take a Look.